IT’S THE FIRST DAY OF BLOGMAS! My first ever blogmas is here and everyday until Christmas Eve I will be posting a new post. So what better way than to start off with a beauty review? I hope you enjoy! I’ve been wearing this foundation pretty much everyday of November to give you guys my honest review. I’ve worn it enough now that I feel I can truthfully tell you what I like and dislike about this product. Carry on reading if you want to know more. 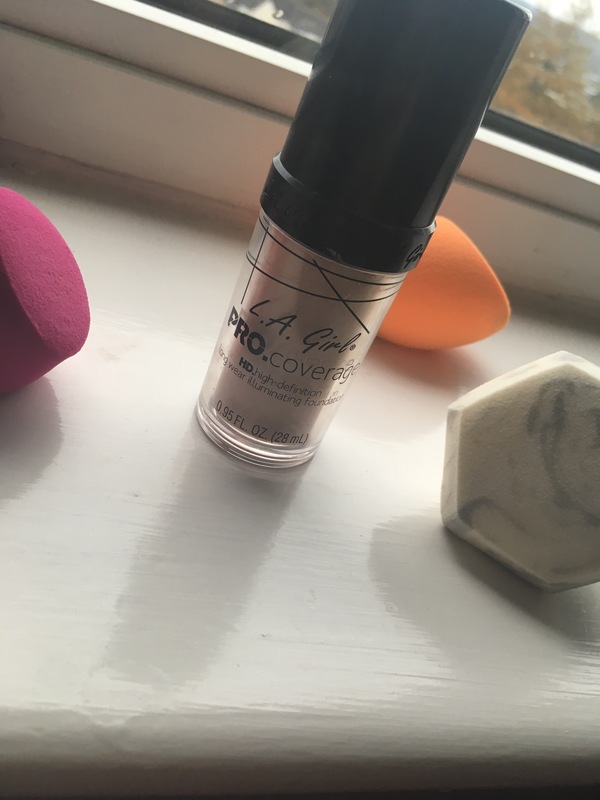 I bought mine in the shade fair from the Beauty Bay website for £9. I only got this because I’ve been such a big fan of the concealer for so long and I just wanted to know whether they are just a brand with only a few good products. However, after wearing it for so long I’ve come to the conclusion that this foundation is fab. I like it a lot! I’ve got a few dry areas on my face and a lot of the time powders and foundations tend to stick to them. With this foundation rather than sticking to the dry areas, when I remove my foundation I actually feel more hydrated. To begin with I thought this was because of my change in skin care but it’s really not. It’s so hydrating on the skin, it isn’t thick or cakes up. It’s actually very a beautiful formula. It’s super long wearing and I really enjoy wearing it. However, the shade range isn’t the greatest. I’m very fair, in fact the fairest of them all and in the bottle it looks so dark. You can’t purchase this in store and I think that’s the worst bit about it. I do find it oxidises a little but not massively. Regardless of this I love this foundation and I can see me wearing it for a long time. What foundation do you want me to review next? Let me know! I kind of want to try this one because I’m a huge fan of the la girl concealed. I even use one of them as a foundation, so I thought this should work well too. However my skin is oily and I don’t want this to be a disaster. More people with dry skin are raving about this. Eh, I think I can still give it a try!